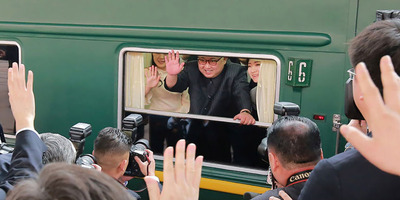 AFP/Getty ImagesKim Jong Un waving from his train in Beijing, China. Despite throwing a lavish reception for Kim Jong Un, China is probably “seething” that it was forced to meet with Kim in such a rushed way. China was caught off-guard with Trump’s decision to meet with Kim, and felt it needed to meet with Kim first to establish itself as a crucial player in Korean Peninsula negotiations. China has turned down years of requests to meet with North Korea, but within weeks of Trump’s decision it had invited and hosted Kim in Beijing. Xi is scrambling to maintain China’s position as a key regional player on Korean Peninsula issues. China may have been far less pleased with Kim Jong Un’s hasty trip to Beijing than the lavish events and happy, smiling photos indicated. 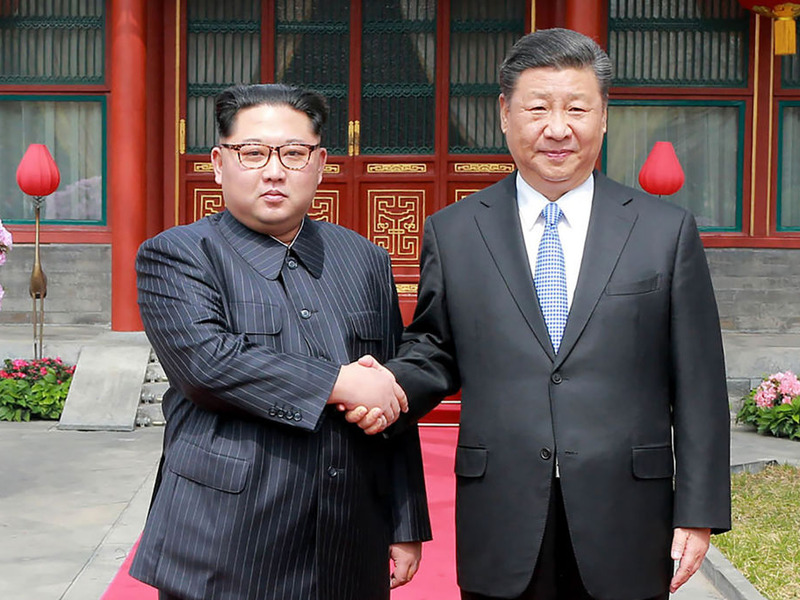 AFP/Getty ImagesNorth Korean leader Kim Jong Un was treated to a lavish welcome by Chinese President Xi Jinping during a secretive trip to Beijing. While China did manage to host Kim for a number of meals, tours, and photo shoots, China may have wanted to avoid the global speculation following motorcades across the city and the arrival of Kim’s train into Beijing. Xi went to great lengths to plan an extravagant “state visit-plus” for Trump last year, whereas Kim’s trip was deemed only an “unofficial visit,” perhaps because there was little time to prepare. Xi came to power in 2012, a year after Kim, but the two only met for the first time this week, despite historically close ties between the two countries. Xi now appears in a rush to build a personal rapport with Kim while also signalling China’s regional importance ahead of North Korea’s bilateral talks with South Korea and the US in coming weeks. “Beijing has to scramble to stay in the game with events moving at an uncomfortable breakneck speed. Whatever effect the Trump-Kim meeting will have, it will be felt most directly by China and by South Korea, so this was an important, if hasty and suboptimal, opportunity for Beijing to let Pyongyang know what China can and cannot accept in terms of regional security,” Mertha said. Despite Kim’s newfound ability to have Seoul – and, to a much lesser degree, the US – raise their hands to meet with him, Xi turned down years of requests to meet Kim before quickly extending an invitation this month. While in Beijing, Xi made sure to show who was in control. Footage released by China’s state broadcaster showed Kim scribbling notes while Xi spoke in a meeting. Xi did not do the same while Kim spoke.